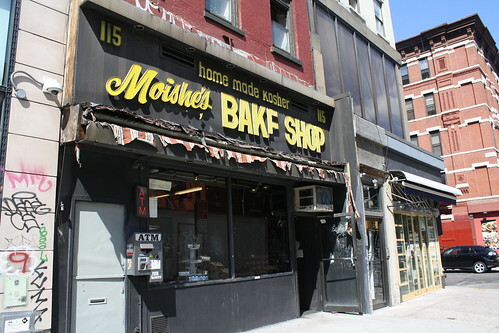 The High Holy Days are keeping Moishe Perl, the owner of Moishe’s Kosher Bake Shop, well occupied – but he’ll soon be even busier. After four decades on Second Avenue, the bakery is due for some changes. Dana Varinsky David Simon at Croissanteria. Hot on the heels of Bikinis, the neighborhood is getting another European-style cafe. 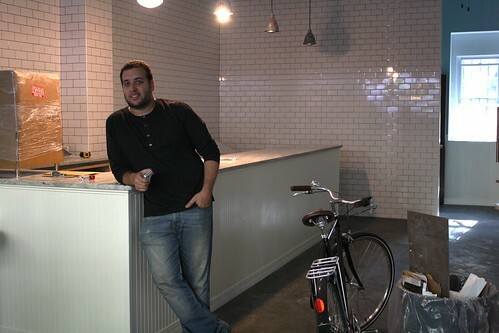 Croissanteria, which doubles as a bakery, will debut on Avenue A in two or three weeks. You can guess what’s on the menu: a variety of croissants with flavors like cinnamon raisin and chocolate, assorted mini croissants, and croissant sandwiches like ham with melted Gruyere. Owner and chef David Simon also plans to offer homemade baguettes and a custom coffee blend created by Brooklyn Roasting Company.